Stephen Ohlman has over 20 years experience in the martial arts, holding ranks in Karate-do, Judo and Aikido. He spent six years studying in Japan; one enrolled in the 11-month International Instructor Course and five under the direct tutelage of Ando Tsuneo Sensei. He holds the rank of 5th dan and is Ando Sensei's senior deshi, apprentice. He is the only long-term foreign apprentice of Ando Sensei, which gives him a unique perspective about Aikido from which everyone can benefit. He taught at his own dojo in Japan for four years. Being the first non-Japanese to teach Yoshinkan Aikido at an independent dojo in Japan was a very unique experience. It has surely developed and enriched Stephen Sensei as an Aikidoist and a teacher. He now heads Aikido Hiryukan in Barrie. Hiryukan, Place of the Soaring Dragon, is the name given to his dojo by Ando Sensei. Completion of the 11-month International Instructor Course held concurrently with the Tokyo Riot Police Training course at the Yoshinkan Headquarters (1995-1996). Senior deshi and uke of Tsuneo Ando Shihan, Yoshinkan Aikido Ryu's Director. Appointed to Shidoin by Tsuneo Ando Shihan and became teacher of Yoshinkan Aikido Ryu's Maihama Branch in Chiba, Japan during 1997-2001. Uke and interpreter for Tsuneo Ando Shihan during his tour of Toronto and Windsor, Ontario in 1998. Uke and interpreter for Tsuneo Ando Shihan during his tour to Munich, Germany in 1998. Uke and interpreter for Tsuneo Ando Shihan during his tour to Los Angeles, California in 1999. Uke and interpreter for Tsuneo Ando Shihan during his tour to Georgetown, Ontario in 2002. Keynote Demonstrator at Meikai University Cultural Festival in Urayasu, Chiba, Japan in 2000. 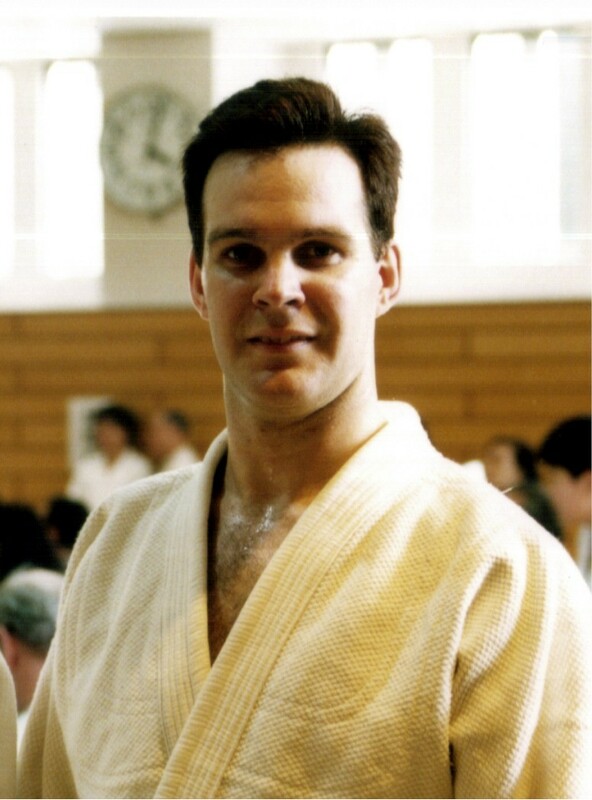 Promoted to the rank of 5th Dan in Japan in May 2003.